my-app.net is an online database that enables teams to easily design web based applications to gather, share and manage business information. 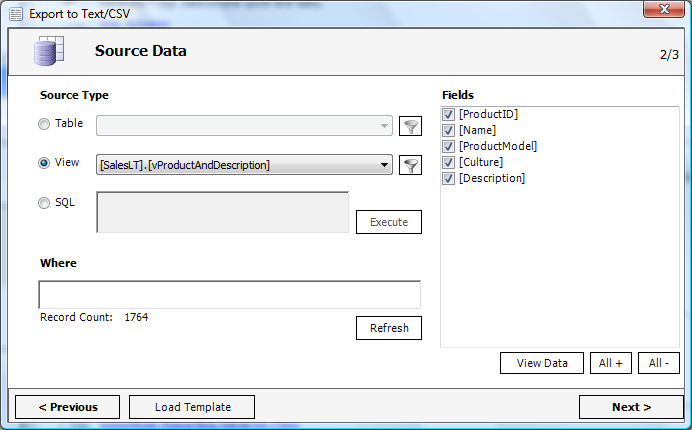 The source for your export file could be a table, a view or your own SQL. 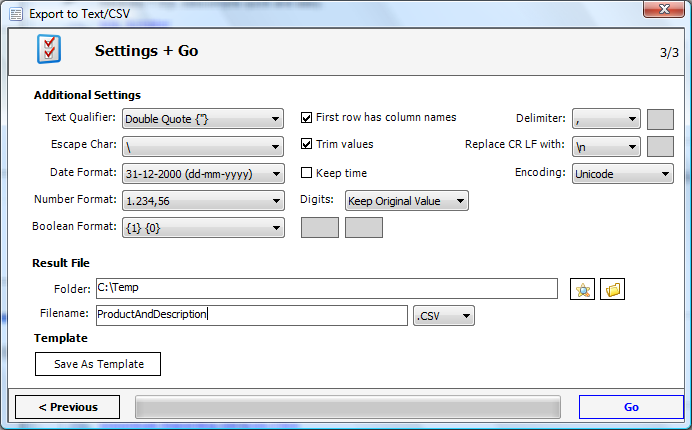 All essential options to create text/csv files are provided. This is an example how the text/csv file could look like. 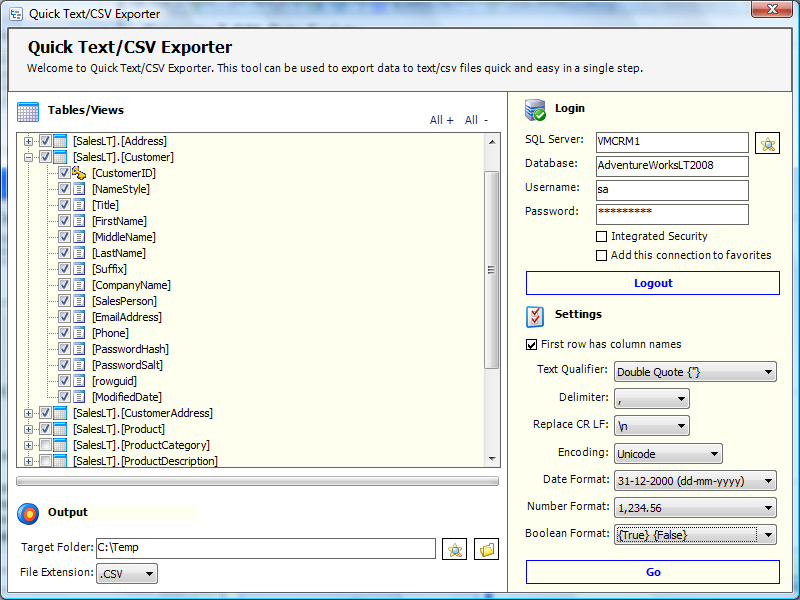 Use Quick Exporter to export all tables/views in a single step.